Coming up in March: ACDA Conference, Jim Henson Puppetry Presentation, and more! Congratulations to Mitchell Hébert and the cast and crew of The Amish Project on a successful run! The School has a lot to look forward to as we head into March. Next week we will host the American College Dance Association's (ACDA) Mid-Atlantic North conference from March 8-11, with concerts, workshops, and presentations by dance students and faculty from around the region. 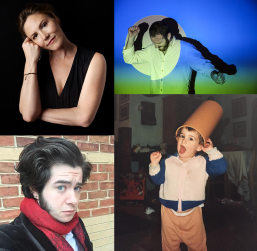 On March 16, the presentations for the Jim Henson Award for Puppetry will take place in the Cafritz, with new work by awardees Mark Costello, Stacey Carlson, Nitsan Scharf, and Anders Tighe. Check out our faculty and staff news below, and don't miss all the job and audition opportunities coming up this spring and summer. Giving Day is the single largest day of giving at the University of Maryland. On March 8, alumni, students, faculty, staff and friends from around the globe will come together for one unified purpose: to support UMD students and faculty that create solutions to everyday issues. Your gift has the power to bring fearless and creative ideas to life as we seek to serve our state and the world. Stay tuned for an email from TDPS Marketing with details about how to give to TDPS, and look for giving tables around The Clarice on March 8. This year the American College Dance Association (ACDA) annual conference for the Mid-Atlantic North region will be hosted by the School of Theatre, Dance, and Performance Studies at The Clarice Smith Performing Arts Center. 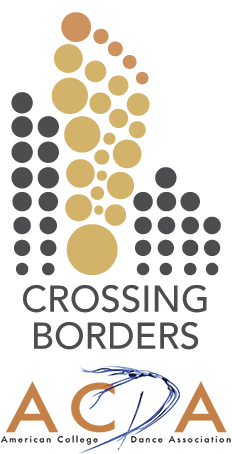 The four-day conference will bring together students, teachers, artists, and scholars for workshops, panels, and master classes around the theme of " Crossing Borders." Company Wang Ramirez presents the opening performance for the ACDA conference (described above). This fusion of hip-hop and contemporary dance showcases the beauty of the body as it is manipulated and consumed. A couple on and off stage, Sébastien Ramirez is a Frenchman of Spanish descent who grew up steeped in hip-hop culture; Honji Wang is a classically trained German ballerina of Korean descent. Presented by The Clarice's Artist Partner Program. This showcase presents puppetry projects created by four TDPS students selected for the Jim Henson Award for Puppetry : “The Milkman of Human Kindness” by Mark Costello (MFA Design), “The Missing Link” by Nitsan Scharf (BA Theatre), "The Children of Lir" by Anders Tighe (BA Theatre ’16), and an as-yet untitled project by Stacey Carlson (MFA Dance). For the Fall 2017 semester, TDPS will be hosting a first round of auditions for both shows, Antigone and Love and Information . Students will have the opportunity to strut their stuff for a panel of faculty members – including Jennifer Barclay, Leslie Felbain, Lisa Nathans, and Scot Reese. Interested students should prepare one 90-second contemporary monologue and, if auditioning for Antigone, an additional 30-60 second song, poem, or classical monologue. For more information, check out the audition flyer. Join Lindsey Kasabian (BA Theatre ’03) for a workshop about casting and entering the professional job market in New York City and Los Angeles. She will offer a brief lecture about her theatre experience at UMD and her decision not to pursue professional acting, but instead find alternative routes to remain the industry. She will offer advice on networking and finding job opportunities in NYC and LA, and she will break down the intricacies of navigating the television business. In particular, she will focus on the casting process and will invite students to participate in a mock casting session. The workshop will also provide students with an opportunity to ask questions and discuss. Check out the flyer . Join director Paige Hernandez (BA Theatre '02) in generating material and ideas for the Spring 2018 production of CLOVE! The workshop will be part discussion, part writing, part ensemble-building, with the goal of creating and enhancing content for CLOVE. The process will be insightful to actors who wish to audition and perform in the piece. All ages, races, and artistic backgrounds are encouraged. In order to convey a fresh, organic, and relatable experience, the piece will feature multiple disciplines, including theatre, dance, hip hop, spoken word, and more. All interested TDPS directors, actors, designers and theatre-makers are invited to take part in a 3-day intensive Essence Work workshop with Shana Cooper, nationally renowned director and Woolly Mammoth Theatre Company ensemble member. Essence Work challenges directors, actors, and designers to work together to create non-verbal performances that explode the physical, visual, and aural landscapes of a play, facilitating new forms of theatrical expression. Please RSVP to Jennifer Barclay. Learn More. 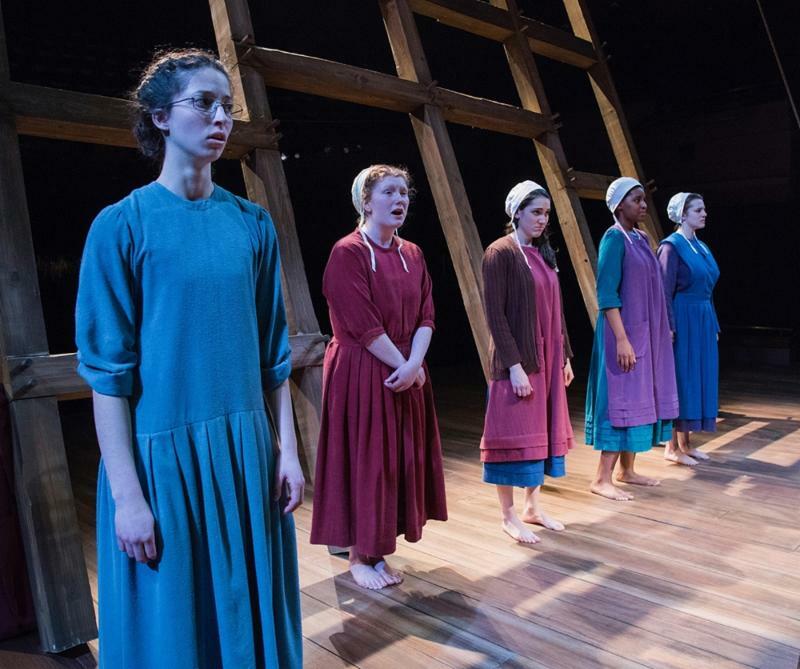 Congratulations to the cast and crew of The Amish Project on a successful run! Check out this review of the production in The Diamondback. "The show somehow finds a balance between counseling its audience and allowing them to retain the freedom to choose their philosophies. We have a tendency to see our peers as all bad or all good...yet the story carefully demonstrates why overcoming this is essential to not only reaching emotional maturity, but sustaining it and living fulfilling lives, even when faced with hardships." 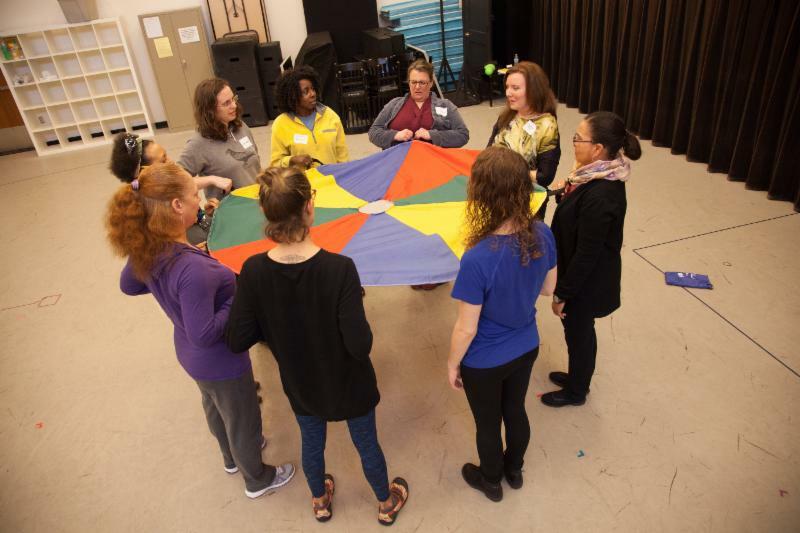 The Clarice recently hosted the MTEA (Maryland Theatre Education Association) THRIVE Conference, which invited theatre educators to participate in workshops and masterclasses. Workshop leaders included Professor Dan Conway, MFA candidate Connor Dreibelbis, PhD student Patrick Crowley, and Assistant Professor Lisa Nathans. Workshop with Lisa Nathans during MTEA THRIVE. Photo credit: Geoff Sheil, The Clarice. LASC Director and TDPS Professor Laurie Frederik will speak on the panel "How to Study Cuba at UMD,” in relation to theatre and performance studies scholarship. She will also discuss the trip she organized to Cuba in 2009. 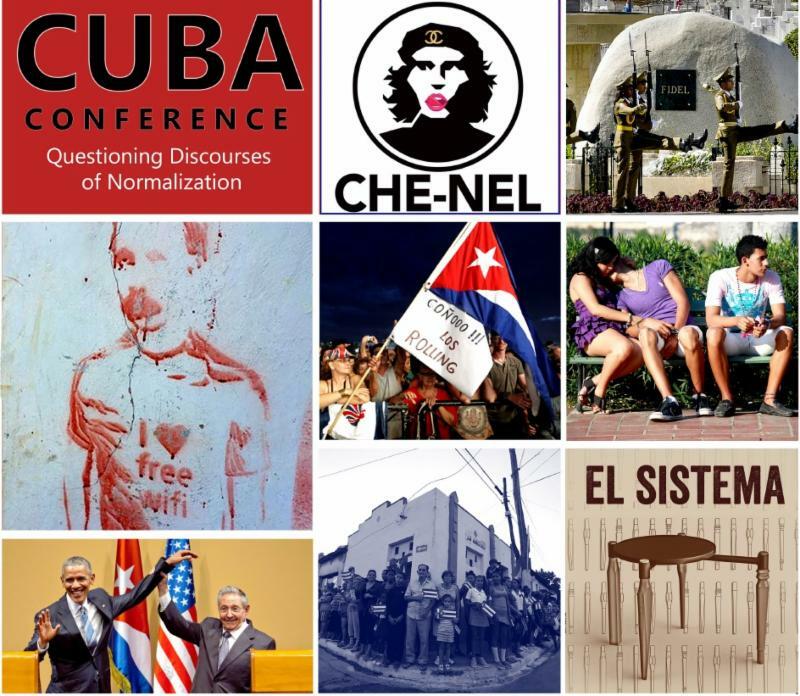 If you are interested in studying Cuba or similar Latin American or Caribbean studies, check out the conference schedule. Last month, TDPS welcomed back Drew Barker (MA ’13) as the new Performing Arts Librarian at the Michelle Smith Performing Arts Library. In his role as the Performing Arts Librarian, Drew’s work is crucial to the success of both undergraduate and graduate coursework in TDPS. 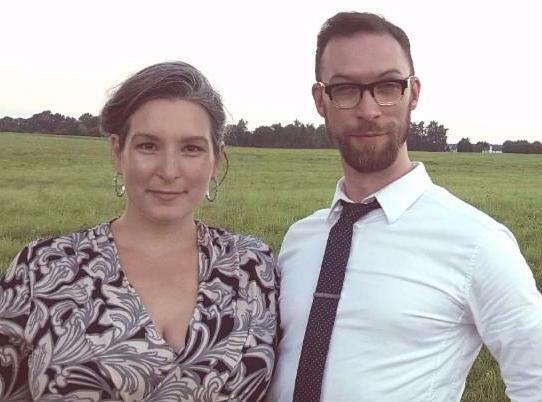 Drew and his wife, Kelsey Hunt '14, an alumna in MFA Costume Design and adjunct faculty in Design. The replica of Bernini's Apollo and Daphne status from Tartuffe (Fall 2015). Congratulations to Michael Driggers, Assistant Technical Director for The Clarice, for having an article published in the USITT TD&T Spring Journal! 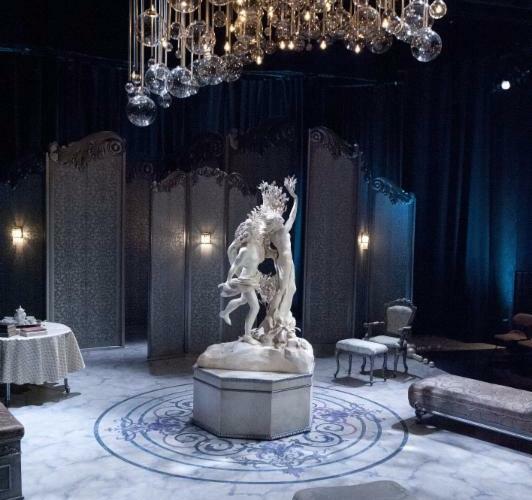 Michael wrote about the process of creating the replica of Bernini's Apollo and Daphne statue in the fall 2015 production of Tartuffe, which was recently on display in The Clarice lobby. Assistant Professor Lisa Nathans has been named the new Editor for The VASTA Voice, the official publication of VASTA (Voice and Speech Trainers Association). Professor Misha Kachman will give a lecture in Moscow on March 23. The lecture - entitled “The Career of a Young Artist. The Experience of America” - will be part of the series "Academic Discourses: The School of Contemporary Spectators and Listeners," in tandem with the Theatre Institute At Stanislavsky Electrotheatre. 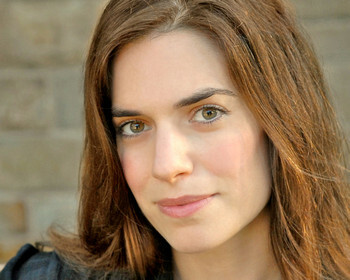 Assistant Professor Jennifer Barclay's play RIPE FRENZY will premiere at Boston's New Repertory Theatre as part of the 2017-2018 season. RIPE FRENZY was commissioned by the New Play Network's 2016 Smith Prize for Political Theatre. 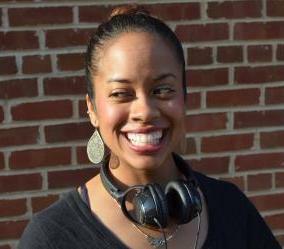 Jennifer L. Nelson's production of Gospel at Colonus at WSC Avant Bard was recently featured in The Washington Post. Jennifer directed Intimate Apparel by Lynn Nottage at UMD TDPS in Fall 2015 and will direct our production of Love and Information by Caryl Churchill in Fall 2017. Sienna, Italy. Image courtesy of The University of Mississippi. 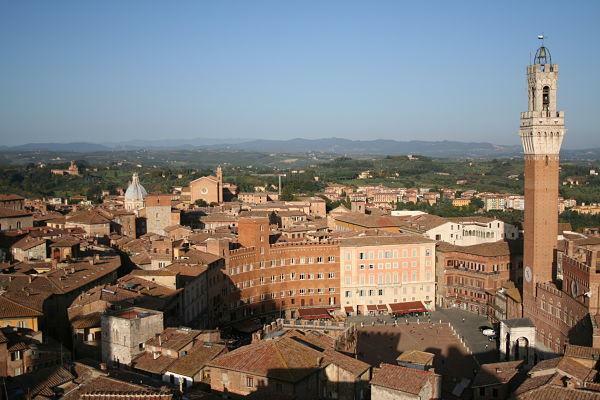 Study commedia dell'arte in Sienna, Italy this summer! PhD candidate Matthew R. Wilson will lead a two-week study abroad course this May focusing on the characters and technique of Commedia dell’Arte (Italian Renaissance physical comedy) culminating with a performance in a beautiful 18th-century palazzo. Check out the flyer here. Gala Hispanic Theatre is seeking spot operators for their production of In The Heights, needed April 10 through May 28. If interested, check out the rehearsal schedule and contact Lena Salins at lena@galatheatre.org. Walt Disney World is hiring a full-time Entertainment Stage Technician! For more information, click here. Washington National Opera at the Kennedy Center is now seeking Production Assistants for the 2017-2018 season. If you are interested, get more information and apply online here. Manhattan Theatre Club is offering summer internships and fellowships: the Paul A. Kaplan Theatre Management Program, as well as a fellowships in Producing and Stage Management. Round House Theatre is holding auditions for actors and musicians for their production of I'll Get You Back Again. For more information, check out the flyer. Actresses are needed for a July production of Teresa at Greenbelt Arts Center, a Seventh Street Playhouse Production. For more information or to set up an audition, contact Anthony E. Gallo at agallo2368@verizon.net. The Labor Heritage Foundation is looking for a stage manager for their production of Love Songs, a jazz musical. If interested, please send your résumé to Steve Jones, Music Director and Composer, at steve@jones88.net or Elise Bryant, Director at execdir@laborheritage.org. The Smithsonian's Discovery Theater is holding open auditions on March 10 from 6-9pm; March 11 from 1-6pm; and March 13 from 2-4pm. To schedule an audition, send your headshot, résumé, and preferred date to Production Manager, Sam Game: GameS@si.edu. The Bowie Playhouse is seeking a Music Director, Stage Manager, and 7 actors (4 men, and 3 women), for their production of A Comedy of Tenors in June. C-Unit Studio is hiring ballet teachers for the upcoming season. For more information, review the job posting here. Have an opportunity you want to share?